Win 1 of 35,000 L'oreal Paris Revitalift Triple Power Moisturizer 5-day Supply Samples! 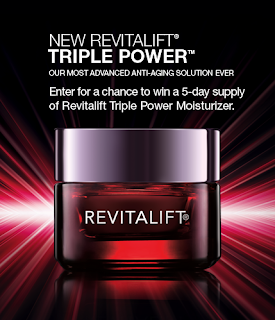 Head over to L'oreal Paris USA's Facebook page and enter for a chance to win a 5-day supply of Revitalift Triple Power Moisturizer. There will be 35,000 winners!